HYDERABAD: Mahindra Satyam on Tuesday launched a Special Economic Zone (SEZ) here on the first anniversary of acquisition of scam-hit Satyam Computers by Tech Mahindra, and said it would complete restatement of accounts by the end of June as per schedule. India's fourth largest software services firm said it planned to hire 4,000 associates this quarter. At present it has a headcount of 25,000. Satyam had a headcount of 53,000 in January last year when its founder and chairman B. Ramalinga Raju confessed to a Rs.78 billion accounting fraud. The SEZ at Infocity Campus in Hitec City was launched in the presence of Corporate Affairs Minister Salman Khurshid, Secretary R. Bandyopadhyay and Mahindra and Mahindra vice-chairman and managing director Anand Mahindra. Spread over 26 acres, the first phase of the campus will be ready for occupation within the next six months and will seat around 5,000 associates. Analysts said since the firm cannot move its workforce to SEZ, it would have to recruit associates for the same. 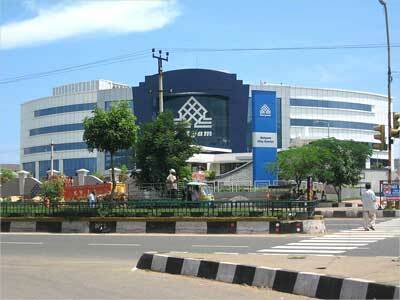 A bulk of 4,000 associates planned to be recruited this quarter would be for SEZ. Tech Mahindra was reported to be facing problems in restatement of accounts as all the records were in the custody of Central Bureau of Investigation (CBI). But company chief executive Vineet Nayyar told reporters: "I am sure we will be able meet the deadline". Earlier, addressing the associates, Khurshid said that his ministry would continue to help the firm meet the challenges. "This transition to success shows what a company can do and what India can do," he said. "There is a three-year transformation plan. This is a journey in which government will continue to participate. It is only one year. We need another two years to level out some operational matters," said Mahindra Satyam chief executive C.P. Gurnani. He claimed that the company had retained almost all the clients but declined to give any details about its performance in the last one year. Gurnani said much of the re-organization in the company happened on June 20 last year when 14 layers of management were reduced to seven. Anand Mahindra said the company should not remain at number four position but should aim to be on top.